What did Beck Flavors do for a follow-up to one of their best trade show engagements… ever? Add new ‘location specific’ overlays to an already successful execution and do it again. 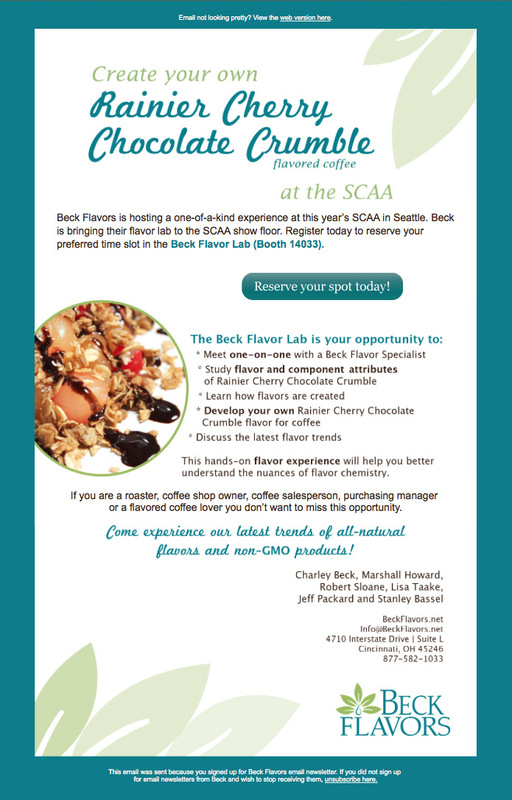 Marketicity worked with Beck Flavors to update the Beck Flavor Lab for its 2015 Seattle debut. The featured flavor as well as other important materials were developed specifically to reflect the host city. And, a ‘Trend Tracker’ map provided booth visitors with local hot spots to visit to get a taste of new and cutting edge flavors. The result was another successful show that brought targets and qualified leads directly to the Beck Booth.